In recent years, more and more dental care providers have started to promote dental implants as the ideal tooth replacement option. 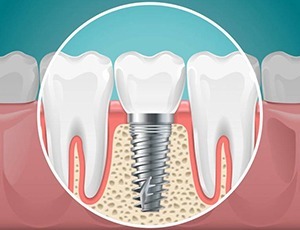 If you need to replace one or more missing teeth, dental implants allow your dentistry team to replace the entire lost tooth – roots and crown. Whether you need to replace a single tooth or a full row of teeth, it’s time to call Legacy Trails Dental, located in Plano, to schedule a dental implant tooth replacement consultation. We’ll carefully examine your smile, explain your treatment options, and create a personalized plan to fully renew your smile. 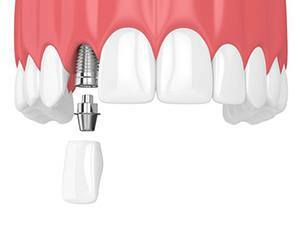 Dental implants consist of three parts: the implant post itself, the abutment and the implant-retained crown. Each part is essential to maintaining the fullest function and most natural-looking aesthetics possible. The titanium implant is biocompatible, which means that it can integrate with your body without worry of rejection. The implant-retained crown is made with porcelain because of its long-term durability and lifelike characteristics. The abutment connects the two components together and is crucial for maintaining the restoration’s foundation. Over time, your oral structures will heal around the abutment and help the crown keep a stable foundation over many years. No dental restoration option is right for every patient, but dental implants are a great solution for many patients. As long as you are in relatively good health and have adequate gum tissue volume and jawbone density, you should be able to successfully receive one or more dental implants. However, every case is unique, so call to schedule your tooth replacement consultation with our Plano dentistry team to find out more. As mentioned, dental implants are designed to replace the entire tooth structure, not just the visible crown in your smile. By doing this, you truly obtain a long-lasting bond when it comes to tooth replacement. In fact, dental implants are designed to last between 25 years and a lifetime when properly cared for. Furthermore, dental implants require no special maintenance to maintain. Keep in mind that implants aren’t meant to last for only a few years and then require replacement like other options. 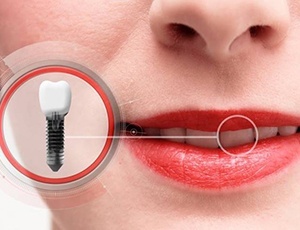 Those who are skeptical of their durability should take note that dental implants carry a 95 to 98 percent average success rate, even after a 10-year period. Eating your favorite foods, whether they be tender steak, crisp apples or the occasional handful of nuts, dental implants make it easy once again. The reason implants allow you to eat all your favorite foods is because of the constant stimulation they provide your jaw bone. 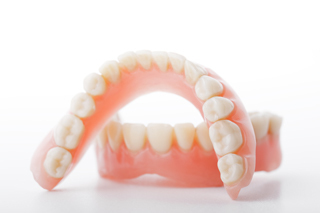 Dentures and traditional bridges don’t stimulate bone because they only sit on top of the gums, unlike implants. This allows you to obtain your fullest biting strength and chew foods with confidence. Keep in mind that dental implants are considered a long-term investment. While it’s true that they carry a higher upfront cost compared to other tooth replacement options, they’re often noted for being the most cost-effective treatment to date. This is because they don’t require replacing like dentures or bridges after a certain period of time. To replace a single tooth or a few consecutive teeth, implant supported dental crowns and bridges are usually the recommended solution. A single implant can be used to support one dental crown, replacing a missing tooth. Two fused together dental crowns can often be supported by a single implant to replace two consecutive teeth. For patients with three or more consecutive missing teeth, at least two dental implants, one on each end, will be needed to support the fixed bridge. Partial and full dentures are typically anchored in place with attachments to between two and four dental implant posts. 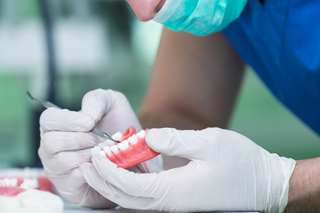 Partials are dentures crafted to fill in the gaps between remaining healthy teeth, and depending on the number and location of the missing teeth, they may be supported by as few as two or as many as four dental implants. Full dentures are crafted to replace an entire row of teeth and four implant posts usually provide adequate support for the denture. However, some patients do need more implants. 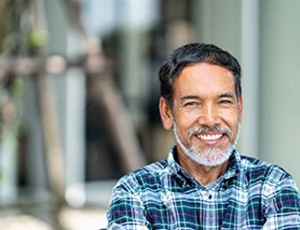 For patients who need to replace an entire row of missing teeth, All-on-4 offers a unique solution that utilizes the naturally denser parts of the jawbone in the front of the mouth to support an entire denture. Rather than placing four or more dental implants along the jaw line, the All-on-4 method uses two vertical implants to support the front of the denture and two diagonally placed implants positioned to support the back of the denture and implant into the front of the jaw. Then, the denture can be attached to the implants, recreating the lost tooth structure.